Shopping for Finding Nemo / Finding Dory Purses? Carry a bit of Disney magic with you! 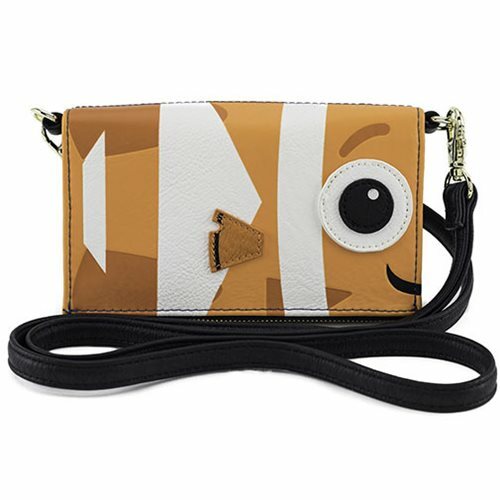 This Finding Nemo and Dory 2-Sided Crossbody Wallet Purse is made of faux leather, with printed, debossed, and applique details. It measures approximately 6 1/4-inches wide x 4-inches tall. Ages 14 and up.